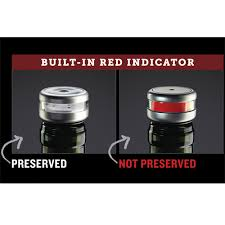 The Shark Tank Show has already featured a handful of wine related products, all very successful to this day I might add, but this latest wine related product called the "Intelli Stopper", may send a few of them back to the drawing board looking to incorporate one missing feature the Wine Doctor Kit offers. Sure there are dozens of inventions on the market helping keep a bottle of wine fresh once you pop the cork and expose the wine to air, but how many wine preservers let you visually know when it's time for a few more pumps? The Wine Doctor Kit was invented by Chase Hoyt and his Dad from Las Vegas, Nevada, who's coming to the Shark Tank after several years of perfecting what seems to be the perfect solution preserving any open bottle of wine. Unlike most other wine preserving products you're hoping they are actually working, the Intelli-Stopper Wine Doctor Kit visually lets you know when the bottle of wine is re-corked with the correct amount of pressure. Chase also had the Wine Doctor Kit independently tested by an engineering lab with impressive test results. By using this new "True Seal Technology", the Intelli-Stopper was successfully tested to hold a tight seal guaranteed for a full 7 days. One of the best ways learning what customers really think about a product is from reading the reviews. Reviews for the Wine Doctor Classic Kit on Amazon boasts a whopping 4.5 Stars out of 5 Stars which is about as close to perfect as you can get. Most of the wine connoisseurs were reluctant to wait a full week to finish off a good bottle of wine, but all agreed using the Intelli-Stopper kept the wine just as fresh 4 to 5 days later, as it was when they first popped the cork. Another feature everyone seems to love is the fact the Wine Doctor lets you know when you have pumped out enough air which takes all the guessing work out. If there's any Shark in this episode of the Shark Tank that knows a thing or two about wine, it would have to be good ol'e Kevin O'Leary who also happens to own his own winery, O'Leary Wines. If Chase can convince Mr. Wonderful he has invented a better mouse trap for preserving wine, He could easily walk away with a big investment made by one of the shrewdest investors ever seen on TV. On the other hand, this is one industry O'Leary has mastered with multiple awards backing up this fact. If Kevin smells anything fishy, look for Mr. Wonderful to take a big bite out of the WineDoctor. Watch the latest Wine Preserver Kit to make it on the Shark Tank Show this Friday night in episode 529, and see if the Sharks reviews are as good as past customers who give the Intelli-Stopper Wine Doctor Kit a rating of 4.5 out of 5 Stars.